South African banks have extended their operating hours for the duration of the 2010 Fifa World Cup in a bid to provide a more effective service for foreign visitors. 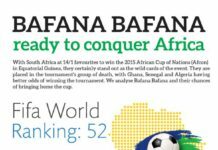 Since the World Cup kick-off on Friday, banks -including First National Bank, Absa and Nedbank – have been operating until 19:00 in all host cities. Absa’ Retail Bank Chief Executive Gavin Opperman said that 33 Absa branches located in the host cities would extend their hours to as late as 19:00, while selected branches would also be open from 10:00 to 13:00 on Saturdays, though to 11 July. Opperman said the bank had also created a team of foreign language speakers to assist visitors over the phone during the tournament period. 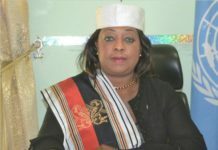 “We are preparing our people to interact with international customers and assist with a wide range of banking needs.”. First National Bank CEO Michael Jordaan said the bank had extended its hours at 17 key-site branches in the host cities until 31 July. Jordaan explained that during the extended hours, the bank’s focus will be entirely on meeting the needs of foreign visitors, including personal banking and commercial banking customers. 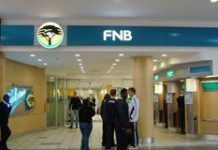 “The extra banking hours are FNB’s contribution at a time when everything around us will be unusual and exciting,” he said, adding that the bank had also enabled a translating centre to assist non-English speaking visitors who entered their branches. A call centre, where customers can determine the extended-hour sites and the services to be offered, has been set up. Members of the public can call 0860 11 22 44 for information. Nedbank has also extended its operating hours from 08:00 to 18:00 during the week and 08:00 to 15:00 on Saturdays. The extended hours will run until 16 July.